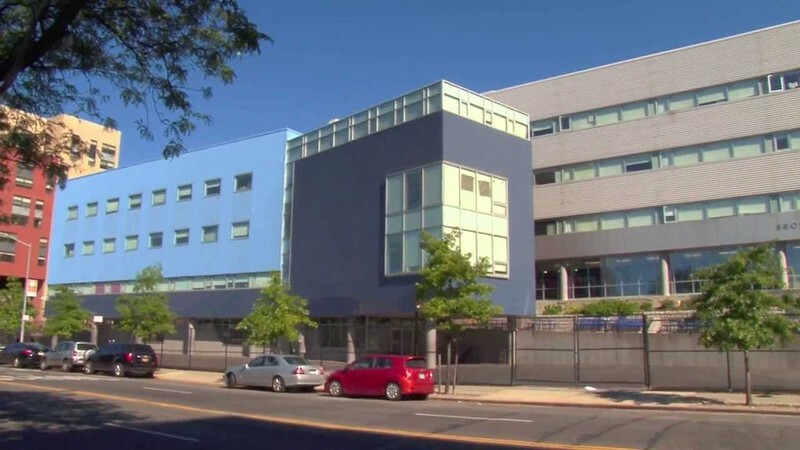 Founded in 2000 as a “standalone” charter school, Bronx Prep has been under the management of Democracy Prep since 2014, a network of charters that combine rigorous academics with strict discipline. For those who do well in a regimented environment, the school offers the opportunity to study Korean language and culture, to develop civic engagement skills and to write lengthy independent research papers. For its first ten years of its existence, Bronx Prep had a good reputation for getting graduates into four-year colleges but performance faltered during a period of changing leadership. Trustees turned to Democracy Prep, a network with a track record of turning schools around. The Democracy Prep network was founded by Seth Andrews, a graduate of Bronx High School of Science and the Harvard School of Education who taught in South Korea. His schools, which serve mostly black and Latino students, aim to replicate what Andrews saw as the Korean values of hard work and respect for teachers. Students accumulate points to earn special privileges such as trips or early Friday dismissal. Once a week they gather for “town hall,” a celebration of achievement, team building and competition, during which they participate in skits, songs and chants to build community spirit. Discipline is strict. Students are given demerits for tardiness, missing uniforms and other infractions. They are dismissed early on Friday unless they have been assigned a one- or two-hour detention, according to the student handbook. The suspension rate was more than 30 percent, far above the statewide average, in the most recently available data. Within two years of joining the network, the school began to show improvement in academic performance in all subjects and on most grade levels, according to an annual report. The culture and tone of the school continues to need work, however. While most students say they feel safe in school, some complain of bullying. The pace is fast and the environment is competitive. Students who cannot keep up may be asked to repeat a grade, and some become discouraged and leave each year. But those who persevere are admitted to colleges and get advice and support from other Democracy Prep alumni during their college years. Though the sampling of students is small, the Democracy Prep network as a whole has had better success than most charters getting students into and through college, according to an article in the Daily News. Data collected by Democracy Prep Harlem shows students who stay for more than one year in a row perform better than the district average by 20 to 28 points on state exams. The school is beginning to have some success retaining students all the way through 12th grade but this is still a work in progress.